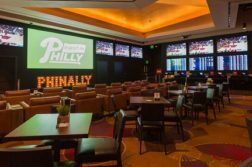 Despite only supporting three land-based books in December, two of which were only open to the public for roughly half the month, Pennsylvania took in a tick over $16 million in sports betting handle. As reported by the Pennsylvania Gaming Control Board, bettors from the Keystone State wagered a combined $16,173,090 across retail sportsbooks located at Hollywood Casino at Penn National, SugarHouse Casino, and Rivers Casino. 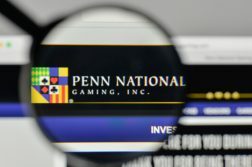 This marks a sharp uptick over November, when sole operator Penn National recorded $1.41 million in handle during a partial month of business. For December, Pennsylvania recorded $2,006,545 in sports betting revenue, which works out to a rather whopping 12.4% hold, although that figure is a little deceptive as PA calculates gross revenue as handle less only the payouts made on winning wagers during the reporting month. In other words, future bets made during the month of December, but which did not have their outcome determined, are counted toward revenue. And we suspect, given the Philadelphia Eagles late-season playoff push, that a number of futures on the home town heroes were written, but sadly for fans, will never be cashed. The full PGCB report can be found here. However, both Rivers and SugarHouse only launched their retail sportsbooks midway through the month, with Rivers going live a couple of days before SugarHouse. Given this, it’s clear that the sister books (both SugarHouse and Rivers are owned by Rush Street Gaming) are winning the early game, presumably due to their prime locations, with SugarHouse located in the heart of Philadelphia, and Rivers just a stone’s throw from Heinz Field in Pittsburgh. Rivers rise to dominance seems like a certainty, as it has a monopoly over the Pittsburgh market; one that won’t be threatened by the entrance of new operators. SugarHouse, on the other hand, will face steep competition at its retail book as early as January, as casino market share leader Parx Casino recently launched its land-based book, having gone live last week. Remarkably, Kambi powers the retail products for Parx, SugarHouse, and Rivers. Kambi also has a strong presence in New Jersey, where it powers DraftKings Sportsbook, 888 Sports NJ, and Play SugarHouse Sports NJ. Of the trio, Rivers held by far the most revenue, clocking in at $1.066 million vs. $641k for SugarHouse, and just $299k for Penn National. Operators were on the hook for $682k in taxes (34%), with another $40k (2%) going toward a local share assessment. New Jersey, which also recently released its sports betting numbers for December, saw $78.1 million in land-based revenue, a significant downturn from November’s high water mark of $92.1 million. However, New Jersey has the luxury of nine retail books and a six-month headstart over the Pennsylvania market, which accounts for its still large lead over its neighbor to the west. New Jersey handled $241 million via its online and mobile sports wagering apps last month, signaling that the real money-making opportunity for Pennsylvania sports betting operators will be over the Internet. Pennsylvania was on course to go online with its apps as early as late March or April, and while a recent reinterpretation of the Wire Act may throw a wrench in the works, regulators seem confident that there will not be a delay. 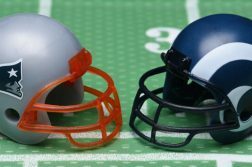 Super Bowl At The Sportsbook: What Do PA’s 6 Legal Books Have Planned For The Big Game?